Hans von Mangoldt is the world’s premier producer of medium voltage reactors. Current Limiting Reactors are typically used to reduce the fault current level downstream of the reactor allowing electrical equipment components such as contactors, cables, and other elements to be designed for the reduced fault current level. 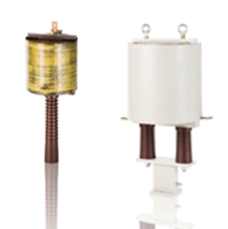 Mangoldt offers air core reactors for applications where it is necessary to limit the inrush current into capacitor banks or to limit the fault current to a power system. Non-saturating air core reactors are available for indoor applications or for cases where the reactor will be housed in a suitable enclosure. 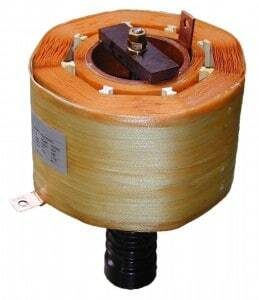 Air core reactors are available for either low voltage or medium voltage systems (up to 35kV). Quotes in as little as 2 days! Voltage: 600-volt class and up to 35 kV. Medium Voltage Routine Test: Inductance and power losses measured with harmonic currents present, inductance linearity and dielectric test. Type Test: Inductance, watts loss, and temperature rise all with harmonics as agreed upon with the customer. Lightning impact this voltage (BIL) test.